Creative market is offering a cute free Winter Birds PNG Clip Art Set made by Trinkett Allsorts. All images are in 300dpi, saved in a .png file format. Just make sure you sign in to Creative market to get this free deal – remember it is only on offer for one week. So get your goodies now! Happy creating! How cute are they?! Good find. Look forward to seeing these incorporated into some new designs for GCU. Hi all, I have just been over at Creative Market, a place where I find many awesome freebies. If you are signed up with them, I am sure you received an email from them yesterday about the fact they are changing their license structure. I have just finished reading it over and it seems they now offer 2 licenses with each product, a standard and an extended. 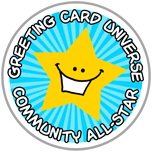 From what I gather, an extended license will be required if we want to incorporate anything from the site into our greeting cards. The freebies you may have gotten up until today, 12-10-15, are still eligible for use under the simple license they used to use,(you still need to know what those terms are, as it has stipulations, too), but as of today the new license terms are in effect, and the standard license does not allow for use on an end product that will be sold. Just thought I would pass this along. If anyone feels I am incorrect, please let me know. It is early, and reading licenses can be confusing as we all know!